The Fibre business area is made up of International Fibres Group (IFG). 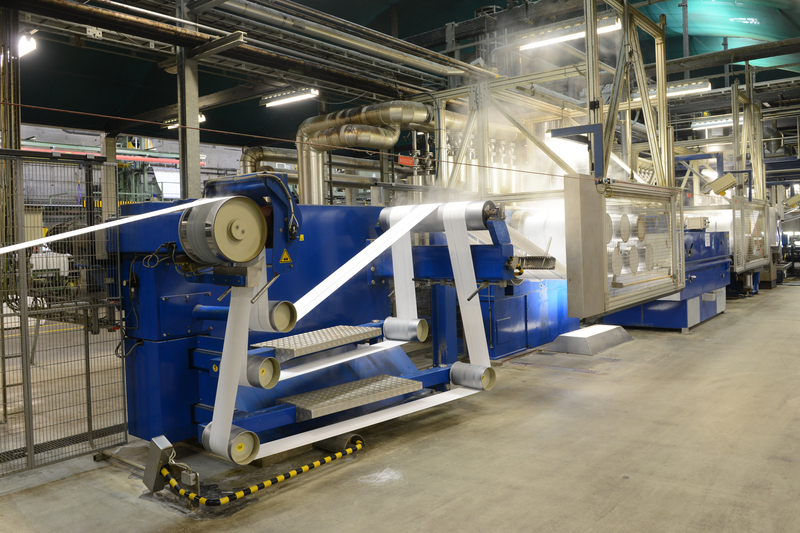 IFG is one of the world’s leading independent producers of polypropylene-based fibres and yarns with customers mainly in the automotive, construction, furniture and filter industry. The production facilities are located in Belgium, the United Kingdom, the United States and Austria with a total annual output of about 100,000 tonnes of fibre. IFG also includes Cresco in Belgium, which develops and produces products for professional growers. The products contribute to favorable environments in greenhouses, mushrooms and composting plants. The products are also found in park environments where they are used to prevent weed growth. There are great similarities with the other fibres companies from a production engineering perspective. Synthetic fibre is advantageous compared to natural fibres in many applications. Primarily because synthetic materials are cost competitive and can be customized for use. Synthetic fibres can be manufactured in different colors and according to desirable properties such as durable, moisture-resistant, flame-resistant, light, strong, drainage, absorbent or filtering. Polypropylene is IFG’s most common input. The synthetic fibres are divided into two product areas; staple fibres and filament yarns. Staple fibres are manufactured in different diameters and cut to predetermined lengths. In the next step, IFG’s clients process fibre to synthetic fabrics or other materials used in the manufacture of the final product. Filament yarn is a more refined product than staple fibre. The product consists of a yarn manufactured in different diameters before it is delivered to customers mainly in the furniture industry. IFG’s staple fibre and filament yarn are sold as inputs to several different sectors, including the automotive industry with automotive applications, as well as technical solutions such as bumper, audio and cable insulation. The furniture industry also uses staple fibres and filament yarns, mainly in the manufacture of floors, carpets and furniture. Another field of application is in the construction industry where staple fibres are used, for example, in nonwovens placed under the asphalt with properties to separate, strengthen or drain. In addition, staple fibre is used for industrial filters with the filter industry as a customer. Cresco’s products are used by professional growers around the world. The main product is textiles for greenhouses that control the climate of cultivation. The function may be to exclude radiation heat but also for example an insulating function for lower energy consumption. Locally grown crops and food are becoming increasingly popular in reducing transport needs and thus the environmental impact. Cresco’s products are customized at the factory in Belgium, where there is also a product development unit that, in close cooperation with the sales organization, develops new products based on market needs.